Last June, I made the best social media decision possible and de-activated my Facebook account, and my life has never been better. However, sometimes I do miss David Wingrove’s Facebook updates. Luckily, his author page is public and there’s some news hiding in the comments. First, the reason for the delay of Chung Kuo Book 10: The Stone Within was a staffing change with Fragile Books. Evidently, Amazon would only deal with the contact on record, leading to confusion and delays. Second, Book 11: Upon a Wheel of Fire is currently in production and is due this summer in print and Kindle versions. Hopefully there will be no delays this time around! 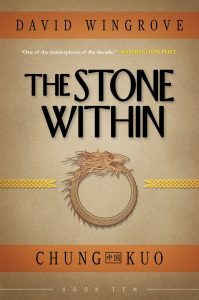 For those of you who have been patiently holding out for the long-delayed Kindle version of Chung Kuo Book 10: The Stone Within, you’ll be pleased to know that it was released a couple weeks ago on February 17. Here are the links. I’m afraid I have no news regarding publication dates for Book 11: Upon a Wheel of Fire. If anyone knows anything, feel free to drop me a line. 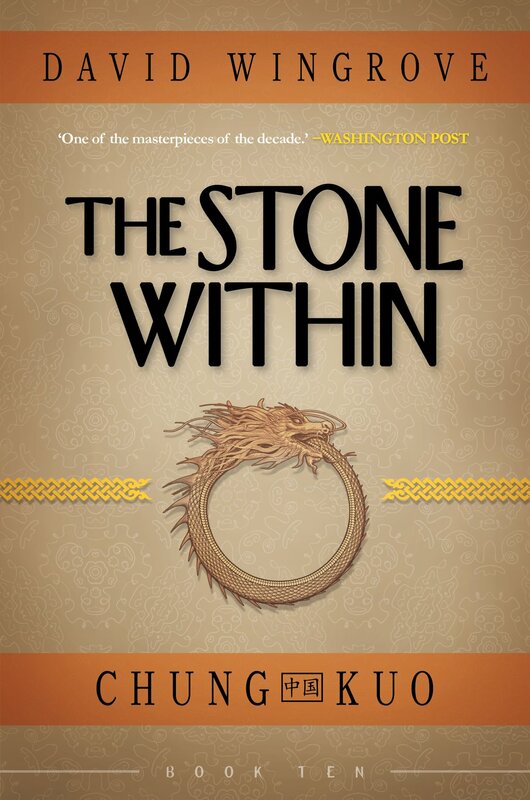 Like many of you, I’m also patiently waiting on the Kindle version of Chung Kuo Book 10: The Stone Within. 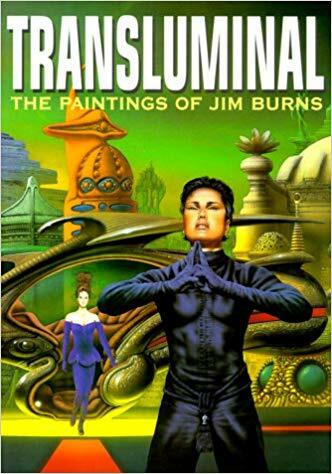 In the meantime, I thought I’d share some details from another book: Transluminal: The Art of Jim Burns. 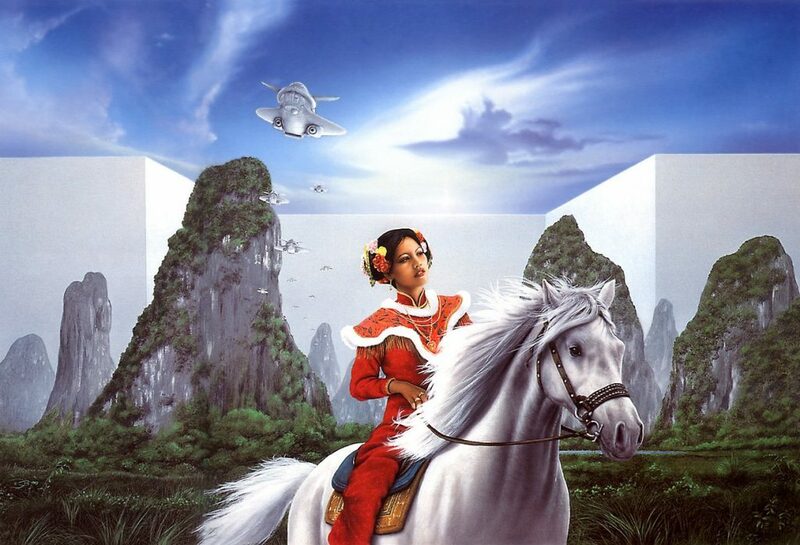 Jim Burns is widely known as one of the most prolific and influential science fiction book artists, and he has long been involved in the Chung Kuo series. 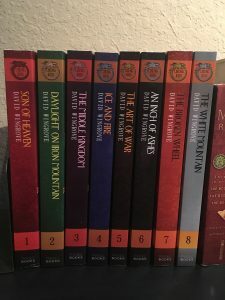 If you’re a reader or collector of the original books, you’ve certainly seen his cover art on several issues; if you’re reading the new Fragile Books releases, you’ve seen the dragon ouroboros imagery that adorns each cover. Transluminal is a great conversation-starter and coffee table book, and it’s a nice glimpse in the history of classic Chung Kuo. It looks like there are plenty of copies floating around if you’re interested in a companion to your CK novels. The Stone Within, Book 10 of the Fragile Books re-publication of the Chung Kuo series, is finally published today… sort of. 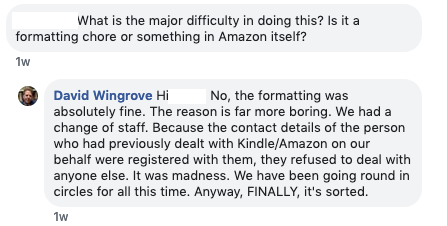 Prior to today, it was not available for pre-order or even appearing on any bookstore’s site in either the UK or the US, leaving some of us worried about the volume’s fate. Currently, it’s on the Amazon UK site (not the US, for those of us stateside), but it’s showing as out of stock. A Kindle version is not yet available, either. Hopefully this will change soon as Amazon receives copies and makes an e-book version available. More news as it comes. Mr. Wingrove has announced a publication date for Chung Kuo book 10: The Stone Within on his social media: September 20, 2018. Just a little over a month away! Book 10. Publication date: 20th September 2018! It’s not appearing yet for pre-order on Amazon USA or UK, but I suspect it will soon enough. It seems as though many of you, based on the comments on the last post, are planning on waiting until all 20 are out before collecting a set. It’s an understandable position – we’ve been burned by publishers a few times now. 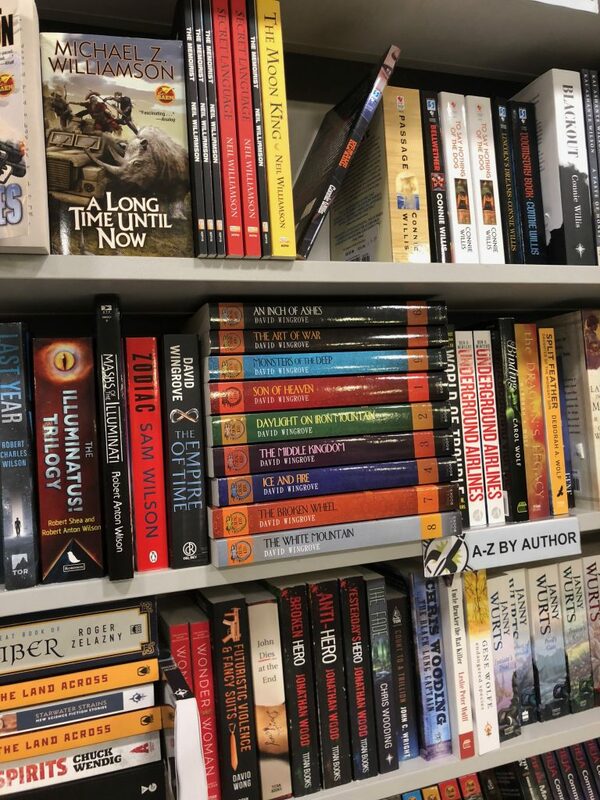 Personally, I think it’s important to show support by picking up each book as it comes out; I don’t think I have to spell out the logic of what could happen if everybody held off on buying. More news as it comes in (if a day or two late…). 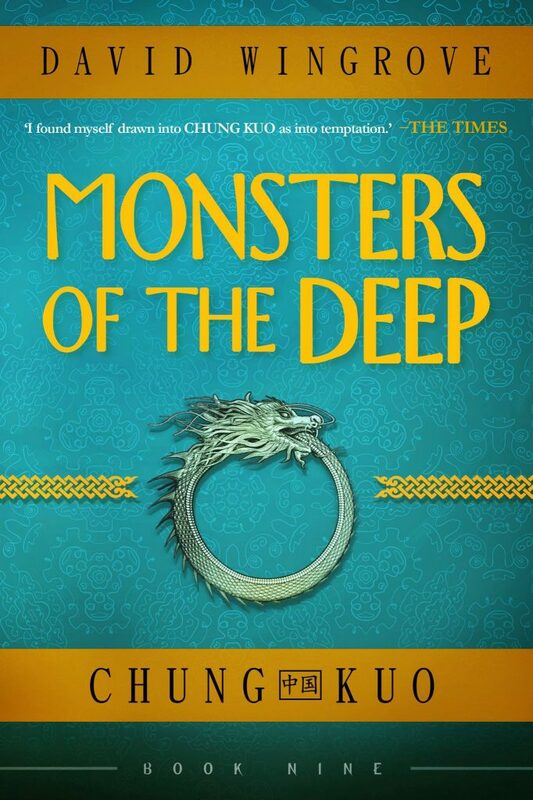 Just a quick reminder that Chung Kuo Book 9: Monsters of the Deep will be released by Fragile Books on October 19 – one month’s time. David Wingrove will be signing copies that day at Forbidden Planet on Shaftesbury Avenue from 6-7pm. That’s in London, I think. I don’t know, I live in Miami, where we get hurricanes. Anyhow, if anyone can send along a report or some pictures, that would be great! David Wingrove was interviewed today on BBC Radio 4 program “Last Word” on the death of his friend and co-author, Brian Aldiss. Skip to 13:30 for the segment on Aldiss. David also posted on Facebook earlier this week go about Aldiss’s passing. I’ve had Finches of Mars, one of his last books, next to my bed for several months now, one of many books in a pile I’ve wanted to get through. I’ll have to make finishing it, and getting to others of his, a priority. Mr. Wingrove has announced, via his Facebook page, that Chung Kuo book 9: Monsters of the Deep will be released on Thursday, October 19. He’ll be signing autographs that day from 6-7pm at Forbidden Planet in London. Unfortunately, it’s an ocean away for me, so I won’t be able to attend, but if someone can go and share some pics, that would be terrific. Thanks to Jewell for beating me to this news via a comment! Moments ago, a box containing the first eight books of the Chung Kuo re-re-launch arrived at my doorstep, courtesy of Fragile Media’s Susan Oudot, each containing a kind inscription from the man himself. The books are beautiful — far nicer in person than in any picture. 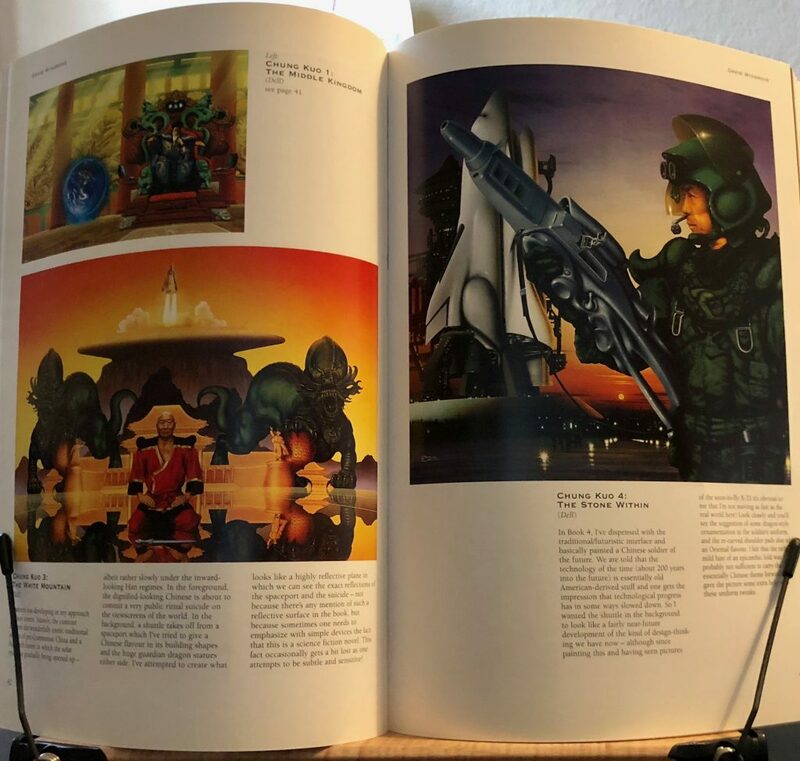 My wife, who is away at a work conference for the week, will likely be none too pleased to return and find that I’ve relocated a picture of the two of us to make room on the Chung Kuo bookshelf in our small library. Yes, the guy who runs the fan blog has a Chung Kuo bookshelf. Seeing the books in print again, now with a renewed confidence that this time we’ll be able to see things to their proper conclusion under the wing of Fragile Books, is a wonderful feeling.